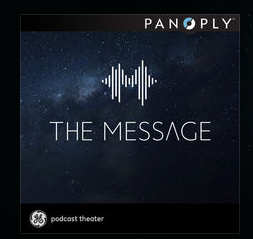 Nov. 30, 2015, 9:30 a.m.
By Laura Hazard Owen @laurahazardowen Nov. 30, 2015, 9:30 a.m.
It’s no secret that the fictional sci-fi podcast The Message is co-produced by GE. But to the million-plus listeners who, as of last week, had pushed the eight-episode series into the No. 1 podcast slot on iTunes, that doesn’t seem to matter. Inherent in the Kickstarter comment is the assumption that podcasts are still a scrappy business, struggling to stay afloat. In the podcast world, GE’s collaboration with Slate’s podcast network Panoply Media is a new and still somewhat controversial idea. If sponsored content is now considered old news in the world of text-based online media, it’s still a fairly new prospect when it comes to big brands funding podcasts. But it’s likely that this model will come to coexist alongside other podcast business models, like host-read advertisements, programmatic advertising, and reader donations or paywalls. 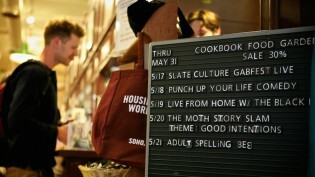 Branded content isn’t new to Panoply, which the Slate Media Group launched this past February after sustained early investment in the podcast space. The network has a custom arm to work with brands and has already done projects like a series of companion podcasts for HBO Documentary Films. The Message, however, is by far the most complex branded project that Panoply has worked on. While GE and Panoply wouldn’t share specifics about how it was funded, Bowers said that Panoply “ran and paid for the production.” That included hiring the writer (playwright Mac Rogers) and hiring the actors, producers, and sound designers. GE came up with the original concept for The Message, provided feedback during the writing process, and created spinoff websites to create a fuller universe around the show. With The Message, I quickly realized that the alien menace had to be a sound. Badly written radio drama is absolutely rife with people shrieking ‘Dear God, it’s 10 feet tall and ringed with tentacles!’ because listeners can’t see the ring of tentacles. But I recalled the marvelous Doctor Who audio play Scherzo, in which the doctor and his companion are stalked on a zero-visibility planet by a creature made of sound. This stroke of genius by author Robert Shearman ensured that the doctor and the listeners would have the exact same experiences of the monster. In an early meeting for The Message, I learned that our sponsor, GE, was one of several companies doing pioneering work in sound-based medical treatments. My mind immediately jumped to: If a sound can cure a person, maybe it can also make them sick? And just like that I knew I had my monster. It’s entirely possible to listen to The Message without ever realizing GE’s role in it. That may be, in part, because it’s fictional. “The success of fictional podcasts ultimately comes down to the quality of the writing,” Goldberg said. “If the story’s not there, it doesn’t really matter. What I love more than anything is that it’s an opportunity for people to use a different sense: Forcing people to paint the picture with their mind, off of something on audio, is pretty exciting and different” for both brands and products. When it comes to nonfictional podcasts, however, the debate over branded content can be sharper. Gimlet Media talked in the most recent episode of its podcast StartUp about launching its own branded content division, and the entire episode was devoted to the thinking behind that decision — as well as the inevitable debates between Gimlet and the brands that want it to create podcasts for them. Really, the only model that we would consider was, essentially, that it would have nothing to do with our brand. Our listeners would never be confused…We create a podcast series for you [the brand], we give it to you, and you build your audience from zero around that podcast series. It’s up to you. We just make it for you and we hand it over to you. We don’t use any of our existing podcast channels to distribute it to anybody. When, on the podcast, Rafsanjari and Zillow PR person Emily Heffter discuss the proposal, it’s clear how far apart the two companies are. As of last week, Gimlet hadn’t announced any branded content clients, though it has posted its new guidelines to its site. 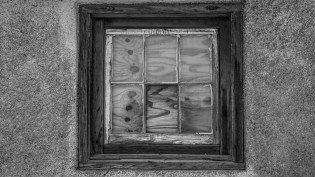 But its struggles foreshadow the issues that are bound to arise as podcast networks grapple with sponsored content. In the meantime, maybe others should consider getting into fictional podcasts. 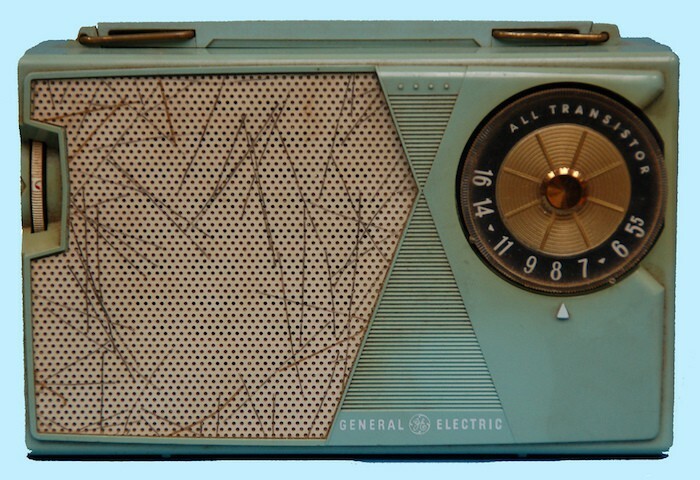 Photo of GE transistor radio by J. Michael Raby used under a Creative Commons license. POSTED Nov. 30, 2015, 9:30 a.m.
Owen, Laura Hazard. "How did the GE-branded podcast The Message hit No. 1 on iTunes? In part, by sounding nothing like an ad." Nieman Journalism Lab. Nieman Foundation for Journalism at Harvard, 30 Nov. 2015. Web. 20 Apr. 2019. Owen, Laura Hazard. "How did the GE-branded podcast The Message hit No. 1 on iTunes? In part, by sounding nothing like an ad." Nieman Journalism Lab. Last modified November 30, 2015. 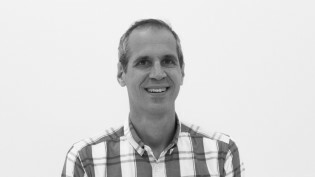 Accessed April 20, 2019. https://www.niemanlab.org/2015/11/how-did-the-ge-branded-podcast-the-message-hit-no-1-on-itunes-in-part-by-sounding-nothing-like-an-ad/.